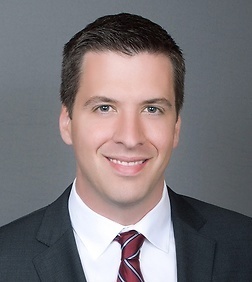 Jason R. Jones is an associate in the Corporate Practice Group in the Firm's San Diego (Del Mar) office. Jason represents investment funds and private and public companies in a wide variety of transactions, including mergers and acquisitions, debt and equity financings, and joint ventures. He also serves as outside general counsel to startups and growth-stage companies, regularly participating in his clients’ board meetings and providing them with strategic and practical advice on issues impacting their businesses. In addition, Jason advises sponsors of, and investors in, private investment funds with respect to fund formation and governance. His clients have included one of the world’s largest private equity fund sponsors and several of the nation’s largest and most active institutional investors. Prior to practicing as an attorney, Jason worked at the Boston headquarters of Romney-Ryan 2012, where he was a member of a three-person team responsible for reviewing all of the campaign’s publicly released content, from social media to radio and television advertisements. He also worked as a legislative aid to Governor Jon M. Huntsman.